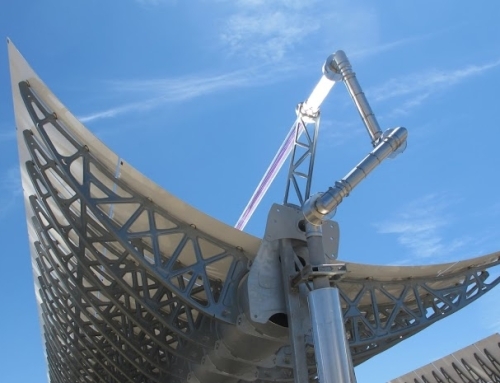 Concentrated Solar Power (CSP) is expected to grow 87% (4.3 GW) over the forecast period, 32% more than in 2012‑17. China leads at 1.9 GW, followed by 1 GW from Concentrated Solar Power projects receiving multilateral development bank support in Morocco and South Africa, 1 GW in the Middle East, and 300 MW each in Australia and Chile. 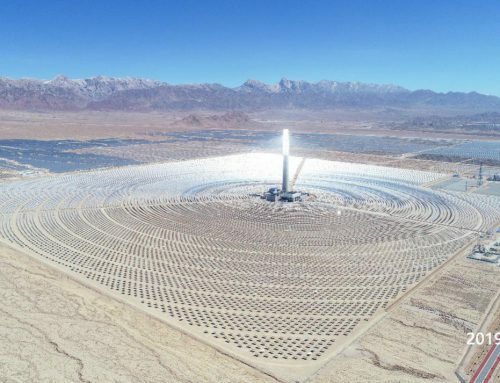 Since Spain and the United States, the two countries with the most installed Concentrated Solar Powercapacity, are not expected to commission projects over the forecast period, China is expected to overtake the United States to have the second-largest CSP installed base by 2023. Recent auction results indicate significant cost‑reduction potential, but technology risk, restricted access to financing, long project lead-times, and market designs that do not value storage continue to challenge Concentrated Solar Power (CSP) deployment. 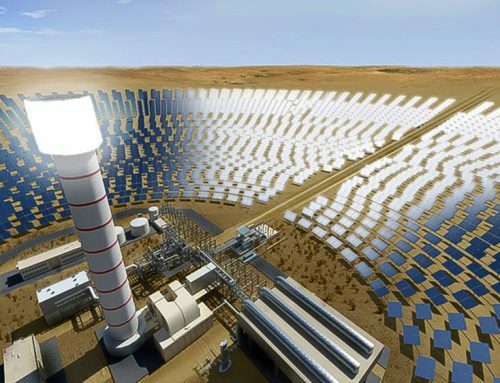 Under the accelerated case, CSP growth could be 60% higher (2.6 GW), driven by faster progress of announced and permitted projects in China (0.6 GW), South Africa (0.55 GW), Morocco (0.4 GW), Chile (0.3 GW), and the United Arab Emirates (0.3 GW). Once again, 2017 was a record year for renewable power. For the first time, renewable capacity additions of 178 gigawatts (GW) accounted for more than two-thirds of global net electricity capacity growth. Solar photovoltaics (PV) capacity expanded the most, at 97 GW, over half of which occurred in the People’s Republic of China. Meanwhile, onshore wind energy additions declined for the second year in a row with lower capacity growth in both China and the United States. Hydropower additions also declined as large hydropower growth continued to decelerate in major markets such as China and Brazil. 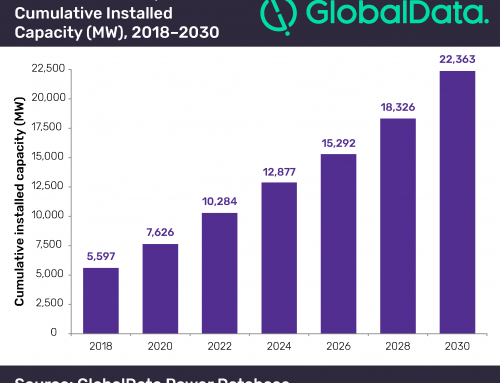 In the main case forecast, which takes into account prevailing market and policy framework, renewable capacity is expected to grow by over 1 TW, a 46% growth over the period 2018 to 2023. PV accounts for more than half of this expansion, driven by supportive government policies and market improvements across most regions. In this forecast, wind energy remains the second-largest contributor to renewable capacity growth, followed by hydropower and bioenergy. Wind power capacity is expected to expand by 60%, or 325 GW, with offshore wind energy accounting for 10% of that growth. Growth prospects for hydropower and bioenergy are both slightly more optimistic than last year, mostly owing to developments in China. In an accelerated case forecast, which illustrates how some market and policy enhancements could affect renewable deployment, the growth in renewable capacity to 2023 could be 25% higher than in the main case, reaching 1.3 TW, provided that governments address policy, regulatory and financial challenges before 2020. China, India, the European Union and the United States together account for almost two-thirds of additional capacity growth in the accelerated case. Solar PV alone represents half of the additional growth in this accelerated case. PV annual additions are expected to reach 140 GW by 2023, driven by faster cost reductions, which improve the technology’s global competitiveness. Solar PV dominates renewable capacity growth in the next six years, with 575 GW of new capacity expected to become operational over that period. Utility-scale projects represent 55% of this growth, while the growth of distributed generation capacity accelerates. China alone accounts for almost 45% of global solar PV expansion. The size of the global PV market over the forecast period is highly dependent on policies and market developments in China where the government decided to phase out feed-in tariffs (FITs) and introduced deployment quotas. As a result, China’s solar PV deployment is expected to slow down, compared with 2017 growth levels. In the short term, global demand will decrease under the main case. A global module supply glut is also expected to result in cheaper module prices. With increasing cost-competitiveness and continuous policy support, demand recovery is expected just after 2020. Global additions should exceed 110 GW per year by 2023 in the main case forecast – led by China, the United States, India and Japan. Growth in Latin America and Africa accelerates because of improving economic attractiveness and strong policy support. 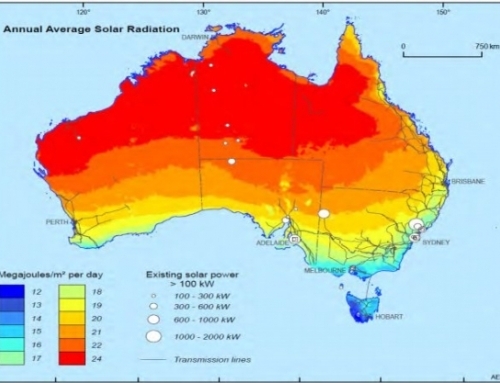 Solar PV alone represents half of the additional growth in the accelerated case forecast. Driven by faster cost reductions that make the technology more competitive globally, annual additions are expected to reach 140 GW by 2023. Commercial, residential, and off-grid PV applications together account for most of the extra growth, which indicates untapped potential in these segments, especially in China, India, Europe and Latin America. Wind turbines capacity is forecast to grow by 324 GW and reach 839 GW by 2023, with offshore wind accounting for 10% of the increase. Onshore wind farm adds around 50 GW of capacity per year in the main case forecast. But the phase-out schedule of federal tax incentives in the United States, the expiration of FITs and grid integration challenges in China, and the timetable of auctions in Europe, India and other regions result in volatile annual additions. Offshore wind capacity is expected to almost triple to nearly 52 GW in 2023, with half the growth driven by the European Union and the other half by China and other Asian countries. Onshore wind energy capacity growth could be 25% higher globally, increasing annual additions to over 60 GW over the forecast period. In China, faster commissioning of transmission lines to reduce curtailment in northern provinces and larger auction volumes in 2021-23 are the main assumptions of the accerated case. In order to accelerate deployment in the United States, more projects must qualify for federal tax incentives before they are phased out. In the European Union, greater auction activity and faster auction implementation in Germany, France, Spain and Italy drives the accelerated case. Offshore wind’s contribution to the accelerated case is notable with faster commissioning of planned projects not only in the European Union and China but also in the United States, Viet Nam and Chinese Taipei. Hydropower capacity is expected to increase 125 GW – 40% less than in 2012‑17 due mainly to less large-project development in China and Brazil, where concerns over social and environmental impacts have restricted project pipelines. Meanwhile, deployment in India, Africa, and Southeast Asia accelerates in response to new demand, untapped resource potential, and attractive economics to improve electricity access affordably. One-fifth of overall growth (26 GW) is from pumped storage hydropower (PSH) projects that help integrate variable renewables. China leads the PSH growth, with notable contributions from Asia Pacific and Europe as well. Hydropower’s upside in the accelerated case depends on faster progress of projects under development; this could include completing feasibility studies, securing financing, and finishing civil works more rapidly. Almost half of the upside of potential lies in China where accelerated deployment is dependant upon the full commissioning of mega projects, including the 16 GW Baihetan Dam. The other half lies in Asia, the Middle East, and Africa and a considerable amount of pumped storage projects in Europe, MENA, and Australia. Bioenergy is anticipated to grow by 37 GW over 2018-23 to reach 158 GW. This growth is 10% lower than the deployment over the 2012 17 period. Global additions remain relatively stable at between 5 GW and 8 GW per year throughout the forecast period. The forecast has been revised up from last year to reflect a more optimistic outlook for China, where a new policy initiative is expected to drive robust co-generation and energy-from-waste (EfW) deployment. China will account for 37% of global bioenergy, but markets in Asia-Pacific and Brazil also make key contributions based on diverse policy support mechanisms. The forecast for bioenergy in the European Union has been lowered, although the United Kingdom and the Netherlands remain major markets. While bioenergy is not expanding rapidly into many new markets, Mexico and Turkey do show signs of growing deployment. The accelerated case for bioenergy highlights potential for an additional 19 GW of capacity over 2018‑23, a 50% increase on the main case. Higher EfW and biomass co-generation deployment in China, enhanced policy support in India to scale up the utilisation of agricultural residues, and increased bagasse electricity generation in Brazil all make key contributions. Geothermal capacity is set to grow 28%, or 4 GW, to reach just over 17 GW by 2023 as projects in nearly 30 countries come online. 70% of this growth is in developing countries and emerging economies. The Asia-Pacific region (excluding China) has the largest growth, at 2 GW, over the forecast period. Indonesia’s expansion is the strongest, propelled by abundant geothermal resource availability and a strong project pipeline in the construction phase supported by government policies. Kenya, the Philippines, and Turkey follow, responsible for 30% of additions. Although pre-development risks are still an important barrier to securing financing for geothermal projects, exploration and construction of facilities in Latin American and Caribbean countries is expected to take off because geothermal technology generates stable, CO2 emissions-free baseload power. Geothermal could grow by an additional 20%, or 900 MW, provided faster commissioning of the projects, mainly in emerging economies. Indonesia could deliver half of the potential growth while Kenya could add an estimated 180 MW as both countries advance in exploitation of their vast geothermal resources. China, Philippines and Turkey each could add around 70 MW of additional geothermal capacity while smaller additions could be seen coming online in Ethiopia and France. Marine technologies continue to account for the smallest portion of renewables growth since expansion typically comes from small-scale demonstration and pilot projects of less than 1 MW. However, larger projects (6 MW to 15 MW) emerging in France and the United Kingdom are boosting capacity growth. Globally, tidal technology is expected to account for 50% of all marine-based additions, followed by wave projects.